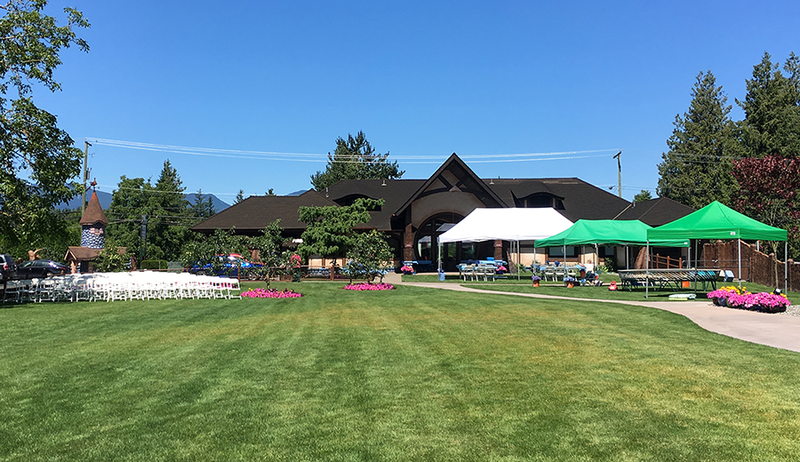 After weeks of finishing all manners of projects and getting the yard in good shape, today was the day when everything was ready for the big wedding celebration. The day dawned warm and bright, perfect in every way. The guest chairs were arranged to take full advantage of the shade of the giant walnut tree. Guests came from far and wide and everything went off without a hitch. Becke and Grant were married. A good time was had by all.